We are pleased to announce that Christopher R. Mulleavey, P.E, of Concord, New Hampshire, has been elected President by the company’s Board of Directors. James D. Boothroyd, P.E. former President, will remain with the company as CEO and Chairman of the Board of Directors. Chris joined the firm as a transportation engineer in 1998 and most recently served as Director of Transportation Services overseeing the highway, bridge, civil and building groups in New England, Florida and the US Virgin Islands. Chris is a graduate of New England College with a BS in civil engineering and maintains Professional Engineering licensure in New Hampshire, Vermont, Massachusetts and Maine. 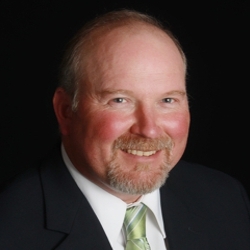 He is active in numerous professional associations including the American Council of Engineering Companies, NH Good Roads Association and Maine Waste Water Control Association. He is also active in the community serving on several advisory, educational and youth sports boards.